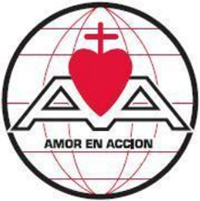 Amor en Acción is a Catholic lay missionary community of the Archdiocese of Miami, involved in short term missions and long term projects that respond to urgent needs, currently in Dominican Republic and Haiti. Amor en Acción works to build bridges of solidarity with communities abroad suffering poverty and oppression. We work across boundaries to share the Gospel through short-term mission travel and long term projects that respond to urgent needs. For more information on this ministry visit the website.